Ozzy Tyres are the real leaders in wheels and tyre trends. Ozzy Tyres has been pioneering the wheel and tyre industry for over 20 years and during this time we have serviced over 100 people looking to enhance the features of their Four Wheel Drives with mag wheels. We have the biggest range of mag wheels to suit any Four Wheel Drive vehicle, any model and stud pattern. Our Four Wheel Drive mag wheel packages include the best and biggest brands in the world like KMC, Vertini, Lexani, Giovanna, VCT, Zenetti and many more. 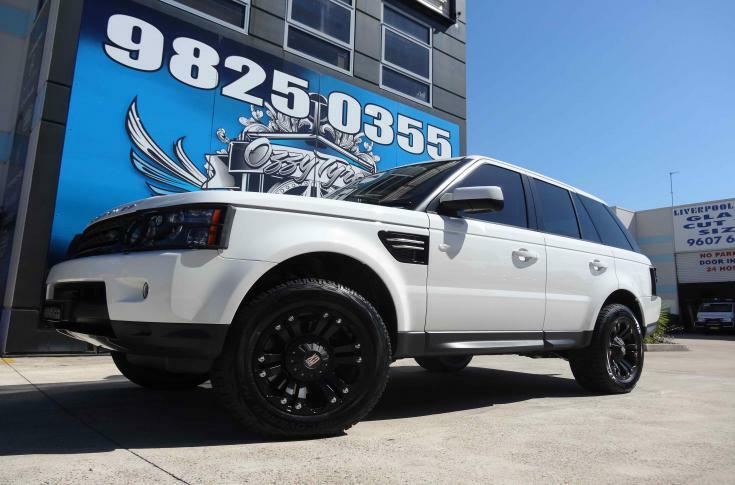 When you buy our Four Wheel Drive mag wheel and tyre packages to suit your ride, you will be receiving outstanding quality at the most competitive prices in Australia. Here at Ozzy Tyres, we believe in making your car stand out from the crowd and you can be assured that your car, will be noticed. Our Wheels also have inserts of different types, styles and colours and can be custom painted to suit your car, you are in the drivers seat and we can make sure that your car is an extension of your personality. At Ozzy Tyres we are driven by passion and fuelled by service. Browse through our wheels search engine to find the best deals in town.